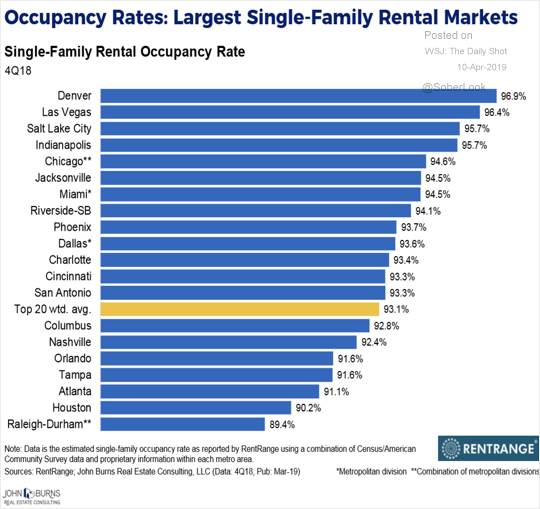 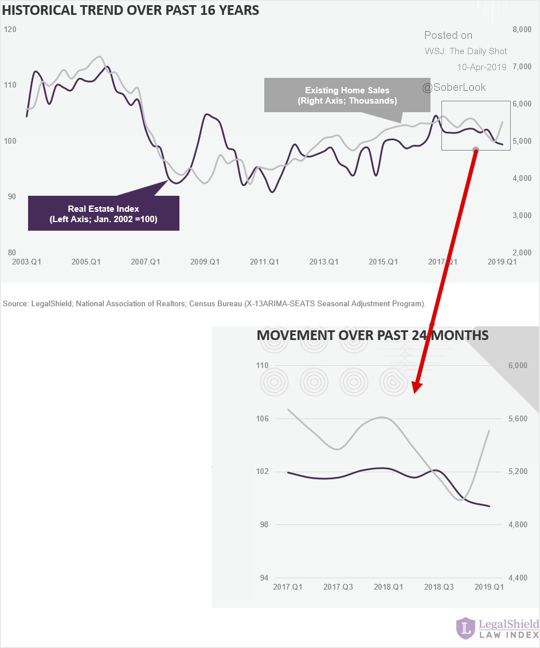 The United States: An index based on legal transactions (LegalShield) does not support the recent jump in existing home sales. 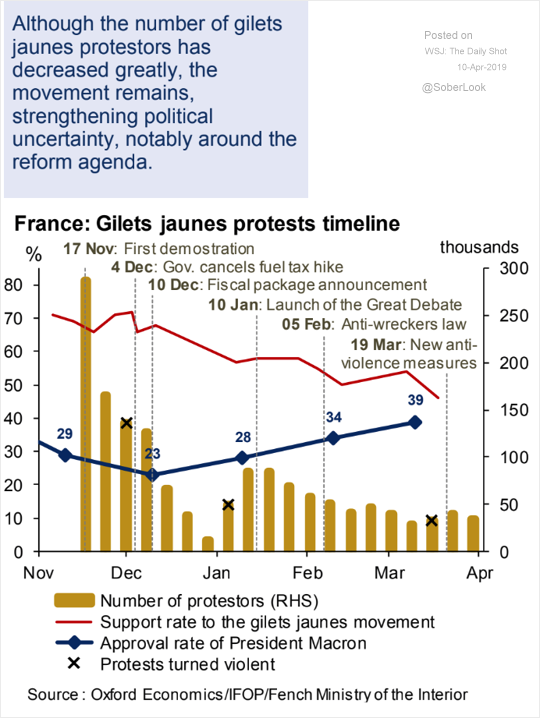 The Eurozone: The “gilets jaunes” movement persists. 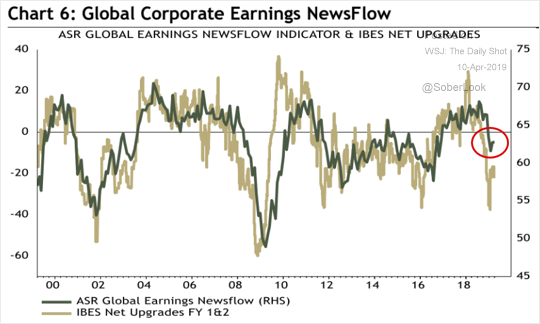 Equities: The global corporate earnings newsflow index has stabilized. 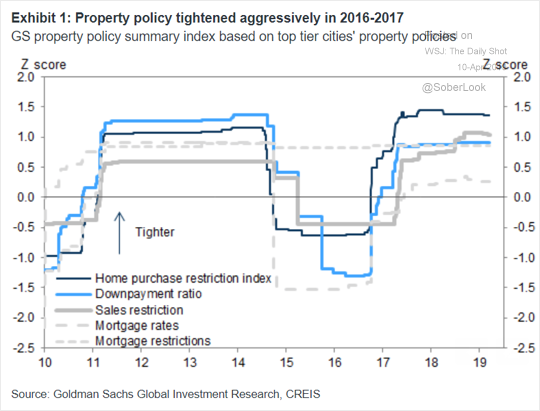 China: The housing market policy conditions remain tight (in 2017 Beijing tightened requirements for home purchase). 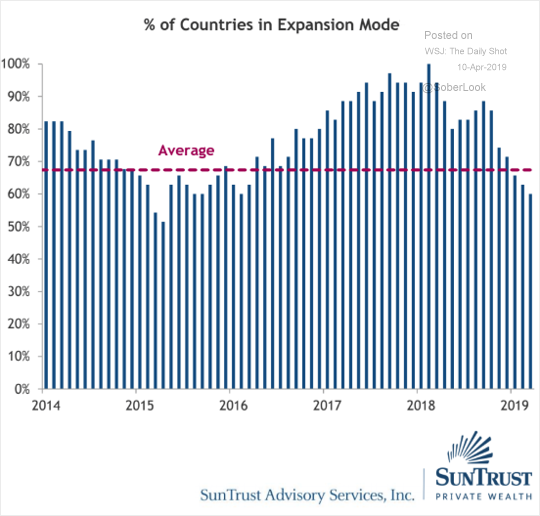 Global Developments: Here is the percentage of countries that are in expansion mode.